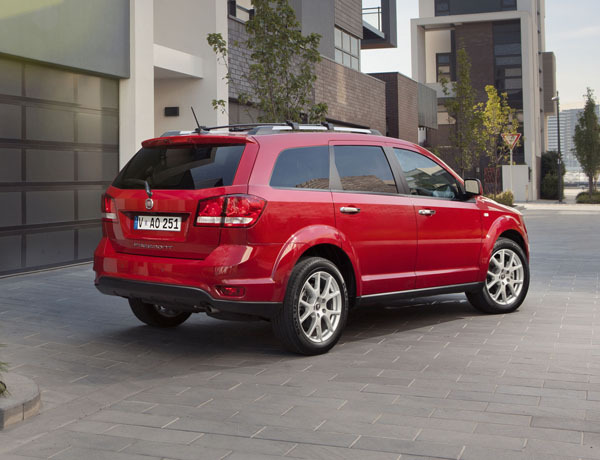 An interesting alternative to Asian SUVs, the Italian Fiat Freemont shares many components with the American Dodge Journey. It was introduced here midway through 2013. The Fiat Freemont comes with five or seven seats. The second row of seats can slide forward by up to 100 mm for relatively easy access to the rearmost seats. Theatre-style seating in seven-seat Freemonts ensures pretty good visibility for all. Built-in booster seats for children are standard on all models. Obviously a lot of luggage space is lost when all seven seats are in use but it’s possible to fit three cabin bags upright in the remaining space. Cleverly, nets are used to prevent it falling when the tailgate is opened. All seats, including the front passenger one, can be folded down to create a large flat load area. Fiat Freemont is available in three specification level: Base, Urban and Lounge. Despite its title the Freemont Base is certainly not base in specification, it has 17-inch alloy wheels, dual-zone air-conditioning and keyless entry and start. Fiat’s Uconnect infotainment system uses a 4.3-inch touchscreen, CD/MP3; and integrated telephone with voice command and Bluetooth, USB and Aux connectivity. The mid-range Fiat Freemont Urban has an 8.4-inch screen; DVD player; automatic air-con; six-way electric adjustment for the driver’s seat; a leather-wrapped gear-lever; and Sunscreen glass. Topline is the Freemont Lounge. It gets 19-inch alloy wheels; sat-nav; leather upholstery and premium door trims; heated front seats; chromed roof bars; and an Alpine audio system with a subwoofer. A special edition introduced in May 2014 and based on the Urban is the Freemont Tricolore. Italian flair is sees it with side stripes in the red-white-green of the Italian flag make it stand out visually. A feature is the tri-colour keyring. 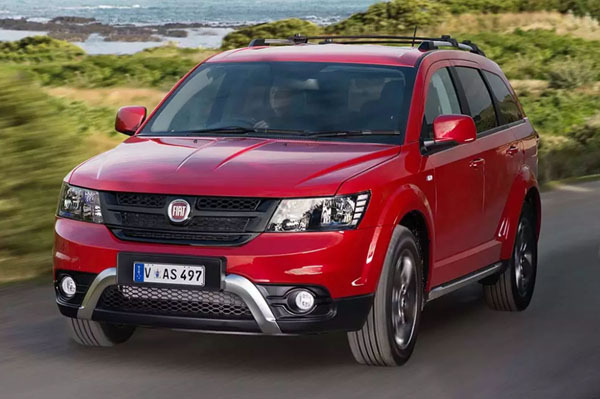 Fiat Freemont is powered by either a 2.4-litre four-cylinder petrol, a 3.6-litre V6 in a model called the Crossroad, or a 2.0-litre four-cylinder turbo-diesel. All engines drive the front wheels via either a six-speed automatic transmission with the petrol engine, or a six-speed manual with the diesel. Note that there isn’t an all-wheel-drive model. The Freemont’s Dodge underpinnings are evident in the way it performs on the road. It’s safe and comfortable but steering is on the vague side and the handling is safe but hardly sporting. Fiat had a push in Australia during the period Freemont went on sale. Meaning there are significantly more dealers than in the past. These are mainly in metro areas though some multi-franchise dealers in the country may support them. Spare parts prices are a little above average for this class, but not to a silly extent. We have heard some complaints about availability, but these seem to be diminishing. Good amateur mechanics can do much of the routine work, but we advise that all safety items should only be worked on by professionals. The engines are generally all reliable, make sure it start easily, idle smoothly (the V6 will be better than the fours) and don’t hesitate when asked to accelerate. Automatic transmission changes should be smooth and all but imperceptible. If not, an overhaul may be due, though a full service may sort it out. We did did hear of some reliability problems in early models, check the service book. During your test drive check the cruise control operates correctly. We’ve heard of some that don’t disconnect when they should. This was the subject of a recall – see our section on the ACCC Recalls website. Make sure all electrical items work correctly. Ideally, have the owners’ manual in front of you so you get into all the nuances of the systems. Check the body for signs of previous crash repairs. Ripples in the finish, paint spots on unpainted surfaces and uneven colours are sure signs. Look for scars on the wheels for signs of rough parking, the left-front is often the first to suffer. As with any SUV / people mover do a detailed inspection of the interior, including the luggage area, for signs of scratches, holes and generally uncared for seats, trim and carpets. Expect to pay from $9000 to $14,000 for a 2013 Fiat Freemont; $11,000 to $16,000 for a 2014 Urban; $15,000 to $22,000 for a 2014 Crossroad or a 2016 Freemont; $16,000 to $24,000 for a 207 Freemont; $18,000 to $25,000 for a 2017 Lounge; and $20,000 to $29,000 for s 2017 Crossroad. If possible arrange to test drive the car early in the morning so that it’s complete cold after an overnight stop.